Making your website a raging success isn’t just about creating good content and putting it out there for the world to hopefully see. While that’s an incredibly important part of the process, there’s a lot of prep work required if you actually want people to see the content you’re so proud of. Part of that process is something called indexing, especially through Google, which is basically the search engine’s way of listing your website on searches. There are some quick strategies for getting your website quickly indexed on Google and we’ll go through some of them below. This is the first and probably easiest step in getting your site quickly indexed on Google. Site mapping is basically creating a roadmap for search engine “crawlers” to navigate and evaluate your site for indexing purposes. If you’re using WordPress, the easiest way to create a sitemap is by using the Yoast SEO plugin, which will automatically generate a sitemap for you. Then you’ll need to submit that generated file to Google in order to increase your chances of being highly indexed. Check out this guide for how to do that. This step is quick, simple, and can only benefit you for tracking and indexing reasons. Once you’ve installed Google analytics for your site (it’s free! ), you’ll not only be able to track all of your site analytics, but it will also give Google a head’s up that your site is ready for business, increasing your indexing chances. It’s a win-win! This point may seem a little ancient, but getting your site listed on some blog networks is definitely still useful for indexing reasons and generating traffic on your site. Pick a select few of the best blog networks and follow the easy steps to get your site listed. Social networks and the links provided through them are super important when Google’s crawlers are searching through your site to index it. Make sure that you have social network accounts (Facebook, Twitter, Instagram, etc.) that all link back to your site. That way, Google’s crawlers will see more links to your site and therefore, more activity, making them more likely to index your site. Also, you can subscribe to link indexing services like linkprocessor.com to get your backlinks noticed easily. 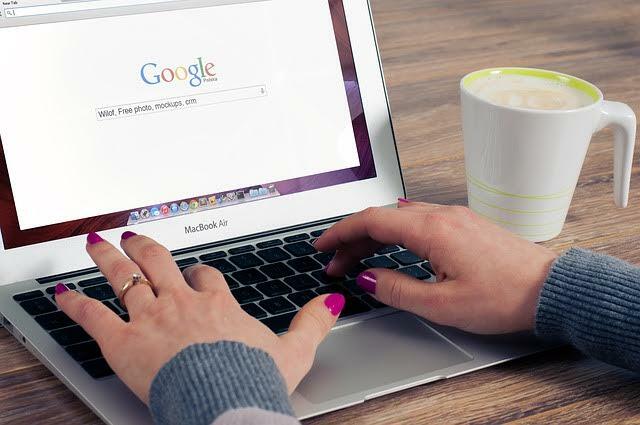 While having social network, accounts connected to your site is a great first step, it’s not the end-all-be-all if you want your site indexed by Google. You should be actively posting links to your recent posts and anything important on your site. That way, Google’s crawlers will find your site active and be more likely to index. Guest posting, posting on other blog sites to enjoy some nice back linking, is a fantastic step in getting your site indexed. Try to narrow down a list of a couple of high quality and high traffic sites in your niche to get your posts published on. Make sure to include a good number of links back to your site! You will enjoy both an increase in traffic and a higher index ranking on Google. If you were confused earlier about how exactly to get your website indexed on Google, hopefully these points cleared some things up for you! There are plenty of other ways to increase your indexing chances, as these are just a few for you to consider. However, the biggest piece of advice when you’re taking this step towards making your site a success is that constant activity, whether it be posting new blogs and sharing your content on social networks, is crucial. Simply copy and paste the following snippet in your theme’s functions.php file, you will be able to display a thumbnail of any website. Some from us wish to use their gravatar as a favicon on their WordPress site. Although, the idea sounds good but in order to achieve this, a little work is required to accomplish at first stage. To do so, first edit the following function by adding your email address on line 3 and then paste it on your theme’s functions.php file. No doubt, with the plugins like WordPress SEO by Yoast and Ultimate SEO, you can make your website SEO friendly. BUT, what if there is a possibility that you can make your WordPress website SEO friendly without the use of any plugin. This can be achieve by simply pasting the code in your theme’s functions.php file and you are done. Once done, simply replace the $default_keywords in line 3 with your own keywords and add the following line of code into your theme’s header.php file.